Why Has Singapore Become a Pay-To-Run Nation? | JustRunLah! Why Has Singapore Become a Pay-To-Run Nation? Singaporeans must be really training hard to combat the potential rise of the transportation cost in Singapore. With the price of ERP, COE, train fare, taxi fare, bus fare going up, the pragmatic Singaporeans are finding a potentially new way to save on their travel expenses, support a cause, get a nice running Tee and keeping fit at the same time. They have been signing up for running events in doves.Looking at the running calender, there seems to be a run every weekend and the traffic police in Singapore is getting very proficient in setting up road blocks and redirecting traffic as more and more of these running events pops up. I often wonder why are there so many running events for an activity that is essentially free and why Singaporeans are so crazy about signing up for running events. 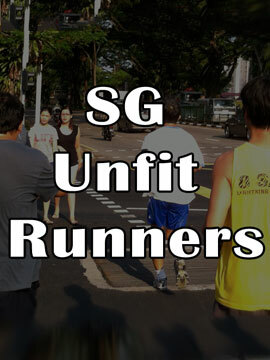 Perhaps it is due to social media that drives Singaporeans to sign up for these expensive running event. In fact, the more expensive it is, the faster the tickets are being snapped up. Suddenly, the $50 that I paid for the running event becomes all worthwhile! And whenever I wear my event T-shirt for my usual run and I see another person running in a normal plain T-shirt, I will smile internally knowing that I have achieve something special (by paying for it) and getting acknowledged for it by my friends and relatives on social media (which they have probably forgotten by then). I guess that explains why people pay $75 for a run to celebrate the birthday of a girl who is not a cat. I thought it is more appropriate to celebrate a girl’s birthday by throwing a party at a club with a $3,000 pink multi-tier cake. But No, this kitty girl is looking for something special. She celebrates her birthday by making people sweat for her! And it attracted 14,000 party-goers! On that day, my facebook and instagram literally lit up with hundreds of selfies (An exaggeration, but that’s how I felt) posing with their Kitty running Tee, their Kitty stickers, and the Kitty mascot. I was so jelly and I liked every picture, cursing why I thought $75 is too expensive for a run when it seems like the party of the century. At that moment that I felt like driving down to Sentosa just to gate crash Kitty’s birthday run. Good thing I didn’t. It started to rain heavily and I decided to go back to sleep. I guess we need that something special to spice up our everyday hobbies and to get that acknowledgement that what we are doing meant something to someone. The people organizing these running events understand that need and they are coming up with more and more outrageous ideas in order to get people to participate in their running events. The more outrageous the idea, the more expensive the event fee will be. 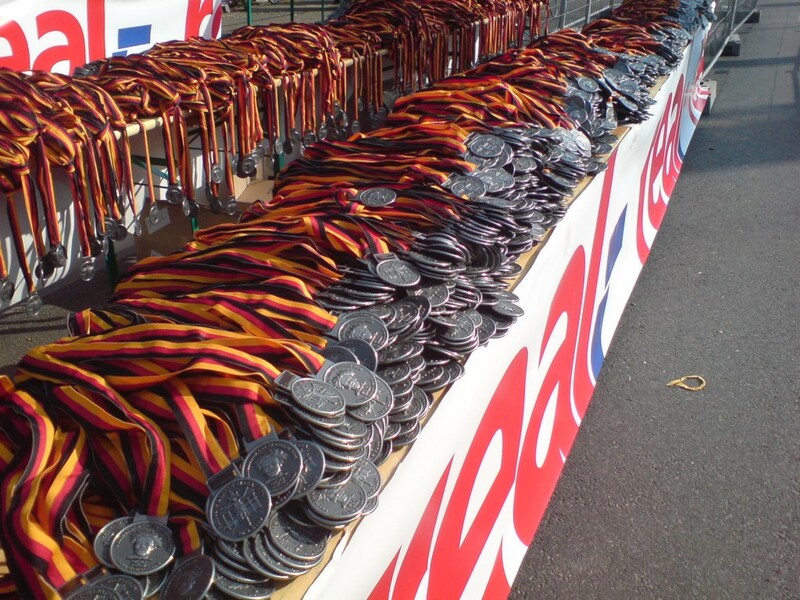 Of course there will be that special edition Tee and medal which is exclusive to the runners. The greatest irony is yours truly who is criticizing Singaporeans needing acknowledgement about their running habits is a blogger addict who blogs about his own and his friends running activities for the world to see. Darn. If you can’t fight them, might as well join them. Time to sign up for the NUS Bizad Run 2015. Damn if my injured knee goes to hell. I need that likes and comments on my facebook/instagram to compensate for that 1 year I survived without participating in a single running event. Bahahaha, your comment about rising transport cost made me chuckle. That was exactly why I resorted to running during my first year studying in Australia – tram tickets had no place in my budget. And yes, fully agree on how expensive a supposedly-free activity can become. As if you don’t know why Singaporeans jump aboard the bandwagon? The race-day competition and the post-race bragging rights panders right to our kiasu-ness! I run to work now 1 or 2 times a week – either along the river or along the southern ridges – feels great to get 10k in before work and saving a buck on the MRT fare is an added bonus. Hopefully there will be a backlash and more ‘simple’ running offers (like parkrun) will get more attention than they do currently for offering races FOC or low prices where u just turn up, get a number on the day, race your heart out and then go home – I know that’s my favorite way to do it…. We got another unfit runner who signed up for the Kitty’s Birthday party run. I was thinking of photo-bombing her selfies on that day. (And other selfies takers as collateral damage!). I agree with sinaistrider. It would be great to see more events that focus on the simplicity of running and allow an opportunity to socialise and meet like minded people. Overseas the club running scene in the UK and Australia alongside events such as parkrun has proved an accessible, affordable (often free) and consistent way to engage the community in a healthy activity. It would be great to see the Singapore Athletics Association developing the club scene here and more community based running activities to show you do not need to pay $75 each time you lace your trainers. A great point for discussion. I do find myself asking the same question every time I register for a race “why do I have to pay for it?”. I certainly don’t care about the singlets or tees anymore, neither for the medals. 1) Proper races: A race you enter to break your PB, test your limits etc. – Example: SCSM, Newton Challenge. – Justification to pay: you get to run in an unobstructed route, get hydration, proper timing, plus get the adrenaline pump of a race. – Approach: Be all serious about them, train hard, and get to complain a lot if the organiser screws up. 2) Races with a special element. – Example: Blind run @ Runninghour 2015, Singapore City Race, Energizer Night Trail. – Justification to pay: Combine running with an activity that you think you will like. You can’t really recreate the full experience yourself. – Approach: Should be treated as more “lax”, enjoy the whole experience rather than just go for the run. – Example: too many to list but you all know what I am talking about. – Justification to pay: hang out with friends, try to get some more time with that girl you like etc. – Approach: You should know that these are not real runs. Should be rather seen as leisure activities. You should expect the long queues, congestion, walkies and couple taking pictures. I am mostly interested in category 2 as I like trying new things, following by category 1, once or twice a year. I am not gonna get into the Facebook thing since I never really understood social media or the satisfaction people get from “likes”. But posing with a running singlet is not much different that posting selfies with holding a drink at a hip bar. haha! awesome summary. Although I am not sure I would place the current version of SCMS in Category 1. Based on my experience of this year, my cat 1 runs would be Newton, Mizuno Passion Run and Green Corridor only. Cat 2 runs- ain’t much unless it’s for charity or doesn’t hurt my wallet. Cat 3 – skip unless I can get free entry (contest). The facebook “Like” phenomena is a bit like why Chinese are so crazy about luxury brands. It’s a popularity contest, used to boost the self esteem of individuals in an ultra competitive environment. Everything goes, big cars, expensive bags, shoes, accessories, no of instagram/facebook friends and even running medals and 42km finisher T-shirts. If you check out who are the greatest buyers of fake facebook and instagram friends, I won’t be surprised to see Chinese buyers high up on the list. Many people don’t want to ‘been there done there’. They want the world to know, which is why social media is exploding in China, thanks to its ego feeding properties.